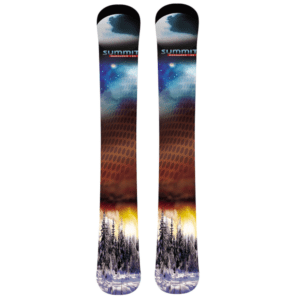 Summit Marauder 125 cm Skiboards 2019 - Fast, with great floatation. 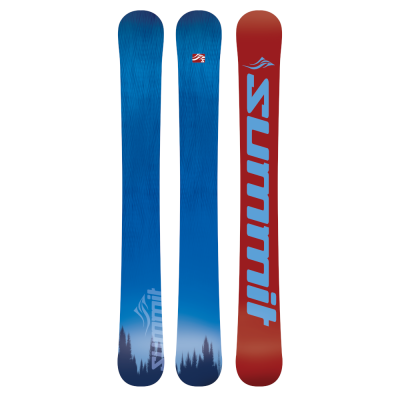 These Summit Marauder 125 cm Skiboards 2019 are built for all possibilities. 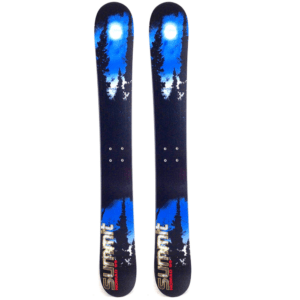 With a wide body platform and traditional camber, these twin tip skiboards rip! These Summit Marauder 125 cm Skiboards 2019 are built for all possibilities. With a wide body platform and traditional camber, these twin tip skiboards are built for speed and charging it all day long. As with all Summits, these are handcrafted one pair at a time with extreme attention to detail. Die-cut sintered bases ensure the perfect frictionless glide (sintered is chosen for maximum wax absorption). The Marauders feature a custom painted silk-screened top sheet and is covered by our special 3D carbonium top sheet for maximum durability. In addition, a beveled sidewall further assists in top sheet protection. Designed for true all mountain riding, the Summit Marauder 125 cm Skiboards 2019 are at home anywhere in the resorts including those breath taking steep chutes, moguls or flying through the glades. Symmetrical twin tips beg for playtime in the parks. These are also great for the backcountry and make perfect ascent skis – lots of floatation, yet so much easier to turn as compared to longer skis. Do they carve? The parabolic sidecut functions impeccably with the northern birch vertically laminated wood core to deliver effortless, lay-it-over carves and the stability at speed will totally amaze you. The Marauders feature a high energy wood core sandwiched between two layers of fiberglass providing just the right combination of flex and torsional stiffness. Rubber dampening layer absorbs shock. An additional layer of Kevlar is is added for not only extra strength and impact resistance, but super long durability that maintains the energetic pop in the skiboards. Recommended for: advanced to expert riders and intermediates ready to take a quantum leap. These Marauders are the most advanced of the Summit Lineup, truly taking you past the limits of your riding potential. 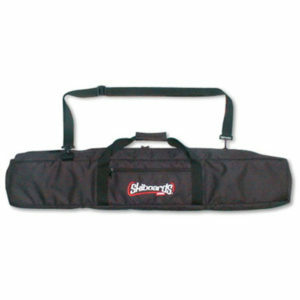 Perfect for: keeping up with and passing skiers and snowboarders, providing excellent speed and smooth carving. Excellent on hardpack and ice as well as powder and soft snow. These provide access to backcountry and off trail, as well as hitting the chutes, terrain parks and ripping groomed runs. These are quite versatile. Base color will vary between Blue with Maroon lettering and Maroon with Blue lettering. One unique thing about the Marauder 125 skiboards is that they accommodate a full range of binding options, including the Atomic Release bindings, AT bindings, telemark bindings or even snowboard bindings — like the Technine Custom Pro DS Snowboard Bindings or use your own snowboard bindings. A special aluminum layer (does not inhibit flex) is installed beneath the top sheet for greater retention of mounted release bindings as well as providing enhanced edge grip. In addition, the Marauder 125 features 4 stainless steel inserts to easily accept non-release and any snowboard bindings. We pre-mount these release bindings for you and include free wide brakes. Atomic L10 Step-in Release Bindings: These are our choice for adjustable, step-in release bindings this season. These come with free mounting and wide brakes at no extra charge. These Salomon bindings do no inhibit flex in any way and bend with your skiboards thus providing maximum performance. Atomic FFG 12 High Performance Bindings: Take a step up in performance with higher DIN setting (4-12) for you truly adventurous souls. Comes with free mounting and 115mm wide brakes at no extra charge. These Salomon bindings do no inhibit flex in any way and bend with your skiboards thus providing maximum performance. 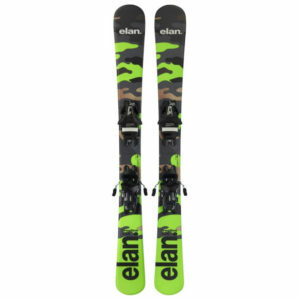 Backcountry AT Bindings: We offer the Atomic N Tracker 13 AT bindings in Small and Salomon Guardian MNC 13 for larger boot sizes. These come pre-mounted and includes 115cm wide brakes. Snowboard Bindings: Yes, these can be mounted with any Snowboard bindings or purchase ours. Finally, boots that feel like snowboard boots because they are! Inserts hold your bindings secure. It is highly recommended to purchase our Technine Custom Pro DS Snowboard Bindings with Summit riser kit to elevate your bindings so you can truly lay it over on carving. If you want to use your own snowboard bindings, order these without bindings, then add the Snowboard Binding Adaptor Kit so your bindings will deliver the performance. Read more about snowboard bindings with skiboards. Non-Release Bindings: The Marauder 125 can be mounted with non-release bindings that fit the standard 40mmX40mm insert pattern. Learn more about various binding options here. ABS Sidewall Construction: Crafted with ABS sidewall construction, the Marauder construction provides many advantages over cap construction. Among these advantages are increased torsional stability, greater edge protection, enhanced power transfer to the edges, improved vibration dampening, greater strength and a full length flex from tip to tail. Translated, these will ride like no other skiboards you have ridden. Wood core: vertically laminated birch wood core runs the full length of the skiboards, tip to tail, providing a highly responsive energy as well as greater long term durability. The wood is Northern Hemisphere birch which is very light, yet super strong. Colder temperatures create wood that is denser, thus super strong, while being very light in weight. This is why we choose wood from the Northern Hemisphere. Sidewall bevel: sidewalls are angled to further protect the top sheet from dings and chips. Base bevel 1 degree and side bevel of 89 degrees: great for carving with ease. These aggressive edges are great for ice, and lay it over carving.